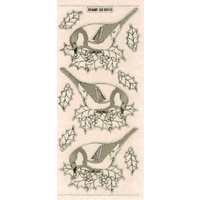 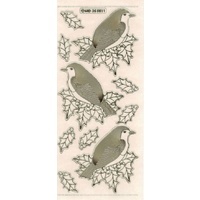 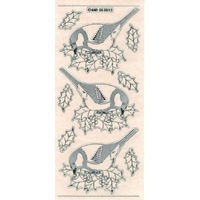 Robins and holly along with single holly leaves feature on this really useful sticker sheet, these would be perfect for Christmas and winter projects. 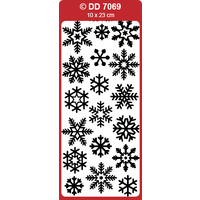 Stickers are so easy to use - just peel off and stick on! 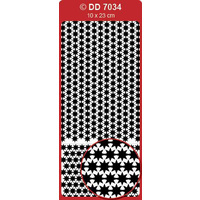 All the borders and stickers are acid free and can be used for so many craft projects. 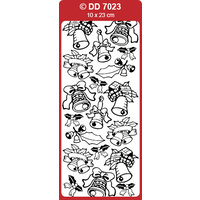 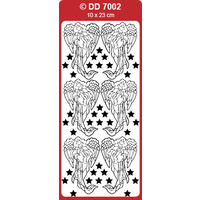 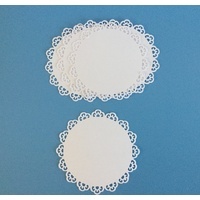 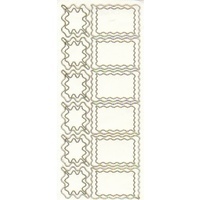 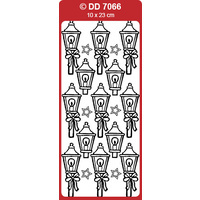 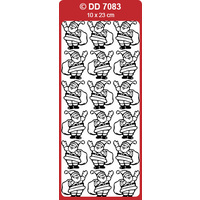 These are great for edging on cards, scrapbook pages, paper tole projects, outlining other stickers, candles, glassware, photo frame borders etc use your imagination and create! 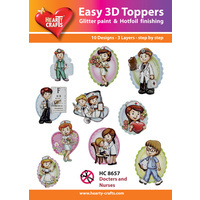 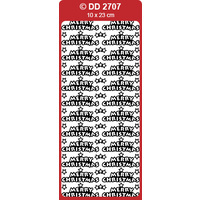 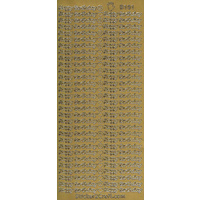 9 Pictures measuring: 6 x Holly 32mmx16mm, 3 x Robins Holly measuring 90mmx75mm Transparent stickers are very easy to coordinate with your projects, you can layer them onto any colour card stock and they take on that colour or pattern.